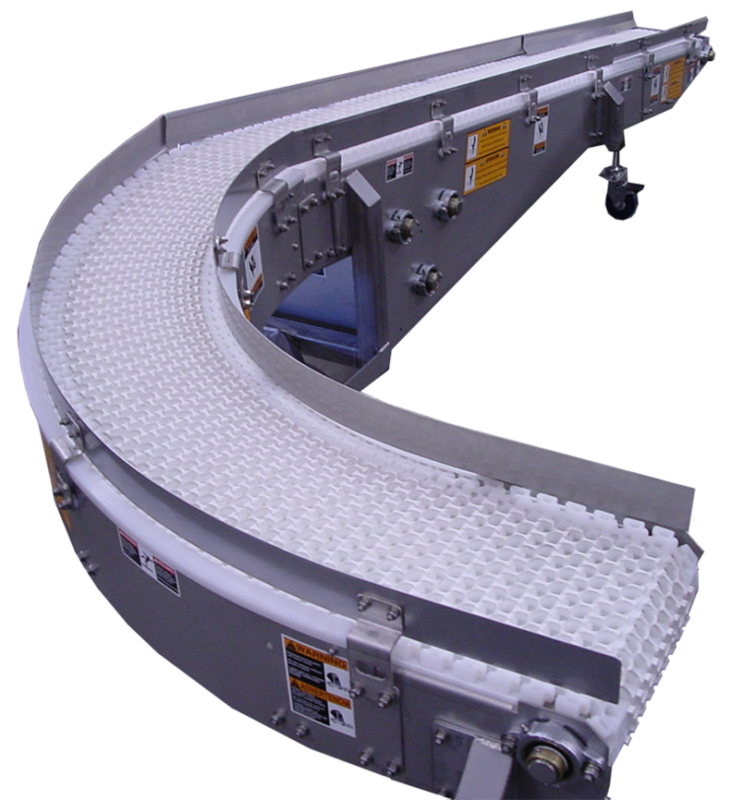 Dillin Mat Top conveyor is a light to heavy-duty transport conveyance with minimum back pressure that is manufactured for use in processing, packaging and general material handling applications. The standard Open frame is 10” deep and constructed of high quality 11 gauge painted or 12 gauge stainless steel with open grid plastic low friction chain in sizes of: 12”, 18”, 24”, 30”, 36”, 42” & 48” standard. Wear strips are included. Custom lengths, belt styles and widths, guide rails, and adjustable floor supports are available. Mat Top Conveyor can be integrated with Dillin’s full line of products and controls to provide a stand-alone piece of equipment or a complete, customized system. Certain model belting can be run over a tight nose bar for small product transfer without using a transition plate.